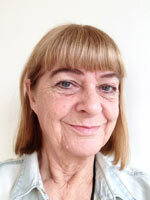 Irene qualified in 1970 from Wolverhampton School of Physiotherapy. She is a registered Member of the Chartered Society of Physiotherapy, Health Care Professionals and Physiofirst.She has worked in musculoskeletal physiotherapy for 45 years, mostly in private practice and sports injury clinics but also in Occupational Health in a nationwide company. She is experienced in neck and back disorders, manipulations and soft tissue injuries. 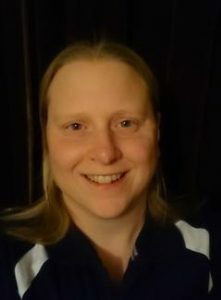 She joined Norris Health in August 2014 and her interests are in prevention of injury, including postural problems, maintaining fitness- especially in the more mature – and helping people to attain their physical goals and overall reduction/ removal of pain. Becky is a Chartered Physiotherapist graduating from the University of Salford with a 1st class Honours degree in physiotherapy; she joined Norris Health in July 2016. From university she entered the NHS in a rotational post, before progressing to a Senior Physiotherapist role specialising in Adults with profound intellectual and multiple disabilities. In addition to this specialised role within the NHS, Becky also works in private practice treating a wide range of musculoskeletal conditions.Becky is available for physiotherapy assessment and treatment, clinical pilates and sports massage. She is a keen runner and horse rider and is currently working on Horse Rider specific Pilates classes that she will be able to offer in the near future. Kamilla Lawton qualified in 2013 from Salford University with BSc Hons in Sports Rehabilitation.She joined our team in August 2017. She has an interest in all sports but in particular Golf, having spent time playing at county and international level. 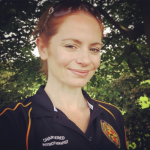 She has worked in various sporting arenas from massaging football and rugby players, to treating patients with chronic life long and acute conditions. She specialises in sports injuries and rehabilitation in musculoskeletal, pre/posts operative conditions. When not spending time playing golf, Kamilla enjoys taking her dog on country walks. 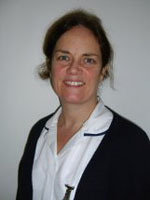 Susan graduated from Salford University July 2007 with a First Class Honours Degree in Podiatry. She is registered with the Health Professions Council and is a member of The Society of Chiropodists and Podiatrists. She has worked at Norris Health Ltd since Sep 2007.She is able to offer advice and treatment for a variety of podiatric conditions including callus and corns, verrucae, fungal infections, in-growing toe nails, Diabetic Foot Screening and biomechanical foot assessments. She is also willing to treat patients in the comfort of their own homes. A mother of 3 children, Susan is Secretary of her local Primary School PTA and enjoys running, reading and gardening when time allows.